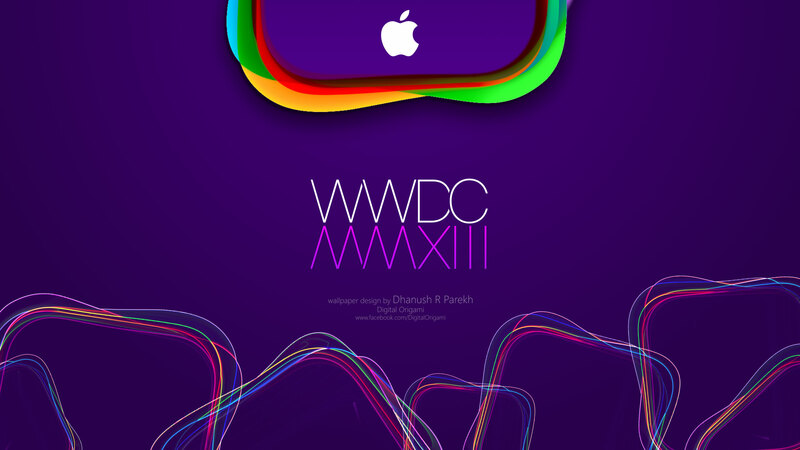 This week thousands of mobile app developers will descend on Apple’s Worldwide Developers Conference in San Francisco – WWDC MMXIII takes place over four days at the Moscone Center West. In what’s been a tough couple of months for Apple which has seen its stock drop in April after reporting a fall in profit for the first time in a decade, and more recently this week the company was embroiled in allegations that it was part of the NSA’s secret data-gathering programme PRISM. WWDC is the company’s opportunity to not only showcase new products and ideas to the developer community and consumers, but the conference has become increasingly important to investors looking for reassurance that the Apple growth story isn’t slowing to a walk. “considerable doubt has crept into the investment community about the company’s ability to live up to its past record of product innovation”. WWDC is Apple’s opportunity to show that commentators such as Gallagher are wrong and that any such doubt are misplaced. So when Tim Cook, Apple’s CEO takes to the stage later today what other news can we expect from Apple? The biggest talking point is likely to be new operating systems for both the iPhone and Mac. Cook announced last month that the new iOS for iPhone and OS X for Mac will be shown off at WWDC, with Apple’s chief designer Jony Ive tasked with design of the all important look and feel following the departure of Scott Forstall, head of iOS, last October. Jony Ive’s new-look iOS, the much heralded iOS7 is also said to allow file sharing and more user-friendly multitasking functionality. Given this is a developer’s conference delegates will also been keen to see if the promised “opening-up” of Apple’s iOS is delivered. App creators are keen to get deeper inside Apple’s iPhone iOS – using for instance Apple’s voice recognition software, Siri, in their apps. Although the new OS X for Mac, OS X 10.9 is rumoured not to be a radical departure from its previous version, multitasking is also said to be part of the new operating system along with Siri for Mac. Along with a new Mac OS X those in the know suggest a new MacBook Air and MacBook Pro upgrades will be announced at WWDC. Both upgrades are likely to have better battery life, and the MacBook Pro sporting a new slimmer look with full HD camera. Following last month’s launch of Google Play Music All Access, Apple is also under pressure from its fan and stock followers to fight-back with its own music streaming service. Although iTunes has been in the music download space for some time, and is very much a leader in this field, the download space is seen by many as an outdated and shrinking business model. Whilst not wanting to throw away the iTunes store the company is said to be keen to have its own rental, streaming service which can take Google, Spotify and Pandora head-to-head. Apple is said to have already signed up record company groups Warner and Universal to provide licenced content to its service, so WWDC is seen by many as the place to launch what’s been coined “iRadio” by many Apple users. With the publication of a patent for a wearable computer back in February this year many thought that it would be at least a couple of years before the bracelet style device was launched. But rumours had abounded that Apple has had hundreds of people working tirelessly on the new device, and with reports that Apple has filed a trademark in Russia for “iWatch” is the much talked about watch going to be revealed much sooner than believed – at WWDC? Although then it’s innovation and opening up of Apple’s software that most delegates will be looking forward to most, the biggest question is unlikely to be addressed. With industry experts suggesting that the high-end smartphone market could be reaching saturation when will Apple unveil a low-end iPhone? Although a low-price point and unsubsidised handset could attract a whole new audience, might this ultimately kill the “exclusivity” and premium that Apple devotees feel about the brand? Apple has a lot riding on WWDC. Its shares are down almost 17% since the start of the year, and it’s one of the worst performing technology shares in the US’s S&P index. But can Apple’s strategy afford to become driven by constantly obsessing about it’s share price? Certainly not, but innovation – and which its critics say is lacking – is what will drive sales, revenues, profits and ultimately the share price. Get innovation right and the rest will follow.